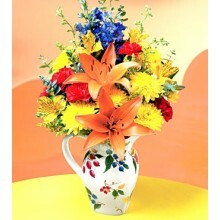 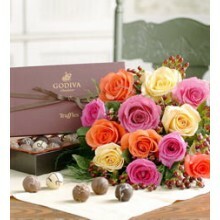 3pcs Yellow Gerbera and Greenery in a Bouquet with Brown Mini Bear & 24 pcs Ferrero Rocher Chocolate. 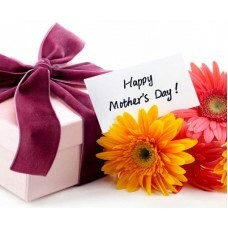 Note: Actual items may vary. 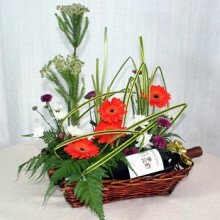 Red Gerberas and Greenery Arrange in Basket with Sparkling Juice. 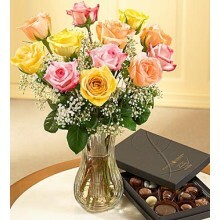 1 Dozen Multicolored Roses in a Bouquet with box of chocolates. 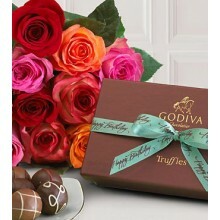 (Godiva will be sustituted) Note: Chocolate may vary. 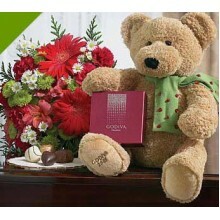 2 Dozen Red Roses in a Glass Vase with Small Brown Teddy Bear. 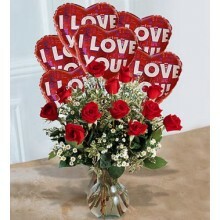 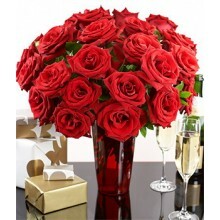 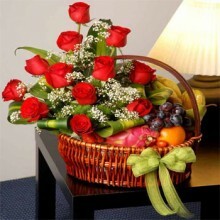 1 Dozen Red Roses with Greenery in a Glass Vase with 6pcs I Love You Balloons. 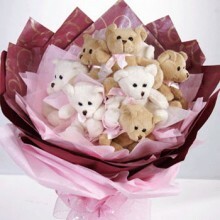 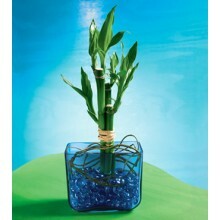 Available with Balloon message -Get Well, Love you, Birthday etc. 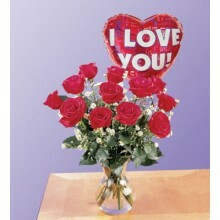 Note: Balloons shape/color/design may vary.